1. Trim chicken into strips about 3 inches long and 1/2 inch thick. 2. 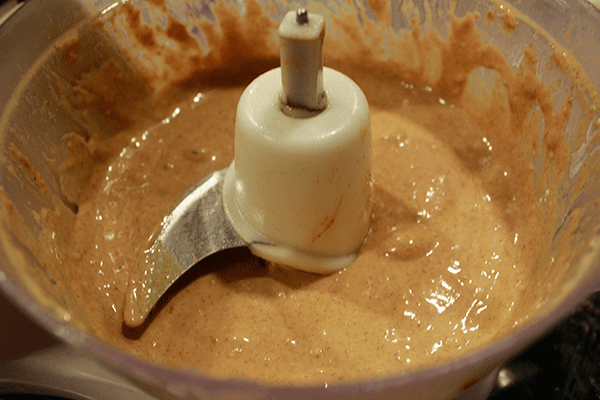 Combine remaining ingredients in a blender or food processor and puree until smooth. 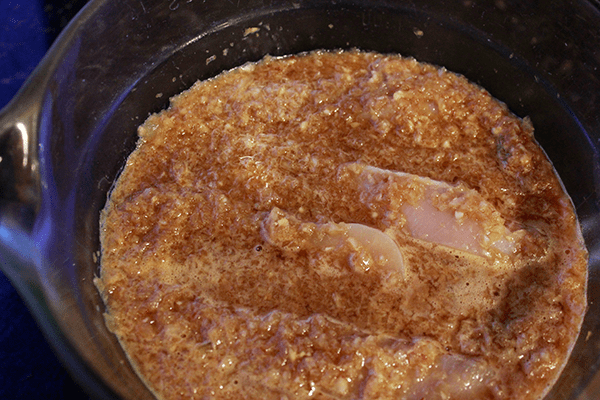 Pour over chicken and marinate at least one hour or overnight. You can also use the marinade to baste while cooking. 3. Heat BBQ and grill until done, around 3 minutes each side. Optional: thread meat onto a skewer. If using bamboo skewers it's best to soak them in water for around 30 minutes before using. 1. Combine all ingredients except coconut milk/water in blender or food processor and combine until smooth. 2. Add coconut milk - if you like it creamy - or water to thin as desired - needs to be pouring consistency. Sauce will thicken over time so you might need to add extra liquid. 3. 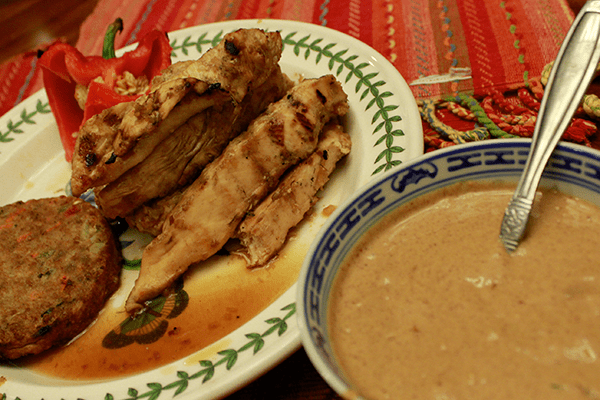 Serve in a pouring bowl so it can be poured or ladled onto the chicken! 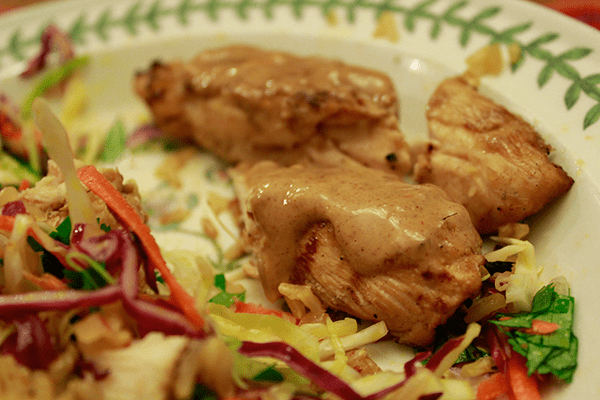 Serve your chicken satay with peanut sauce with spicy chipotle rice and coleslaw! Want beef? Sure, follow the recipe and substitute beef filet for chicken. You'll want to use skewers for the beef. Vege option? Make up some vege skewers - mushrooms, zucchini, peppers (capsicum) and onions and serve with the peanut sauce.